Note: Monk Parakeet is an introduced/exotic species, so it is not accepted even though there is no doubt that the identification as correct. Ruff — near Fogelsville, Lehigh County; May 20, 2011. Photos by Dustin Welch. This female, known as a Reeve, was found by Billy Weber. Unfortunately, it left by late morning. 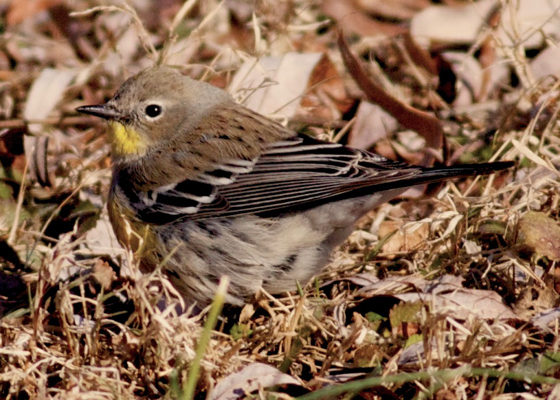 This bird represents the 2nd record for Lehigh County. This photo shows the distinctive ‘U’-shaped patch of white on the rump. King Rail — near Fogelsville, Lehigh County; April 26, 2011. Photos by Dave Neimeyer. This rail was discovered by Dave in the flooded woods and field behind his property. Later that day, it was definitively identified as a King Rail by Rick Wiltraut. 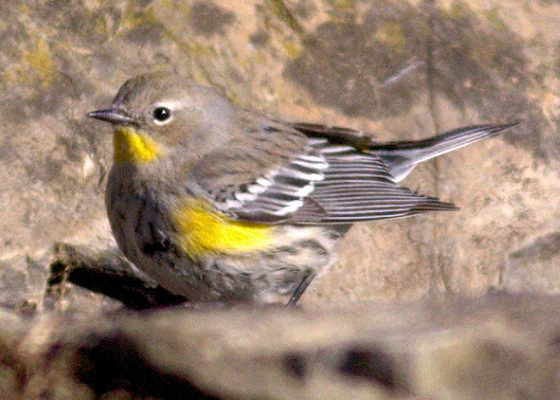 This bird represents the 1st documented record of only two records to date for Lehigh County. King Rail — near Fogelsville, Lehigh County; April 27, 2011. Photos by Dustin Welch. Here are two more photos of the bird above. King Rail — near Fogelsville, Lehigh County; April 30, 2011. Photos by Rick Wiltraut. 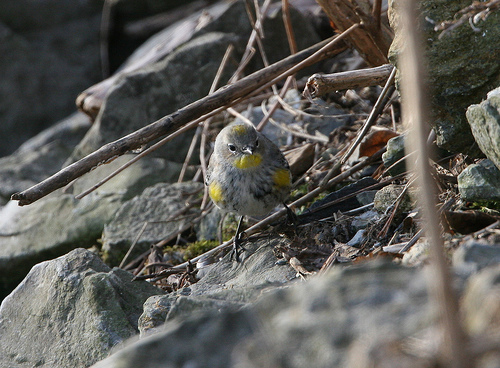 Here are two additional photos of the Lehigh County bird. Yellow-rumped “Audubon’s” Warbler — Cetronia, Lehigh County; January 17, 2009. Photos by Tom Johnson. This bird was found by Tom Johnson and Cameron Rutt. 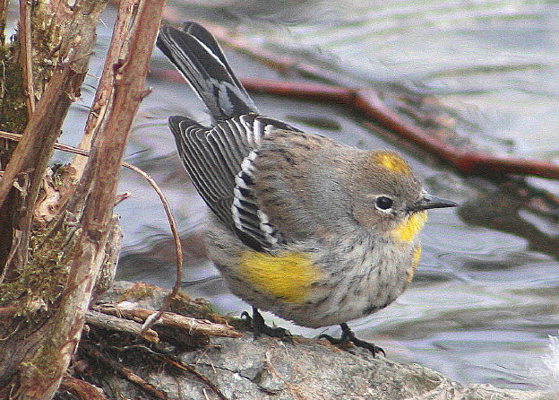 Note the yellow throat. Yellow-rumped “Audubon’s” Warbler — Cetronia, Lehigh County; January 17, 2009. Photo by Rick Wiltraut. This is another photo of the same bird above. 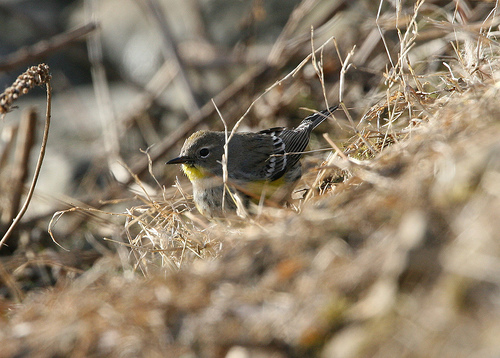 Again, note the yellow throat. Yellow-rumped “Audubon’s” Warbler — Cetronia, Lehigh County; January 25, 2009. Photos by Dustin Welch. These are additional photos of the same bird. 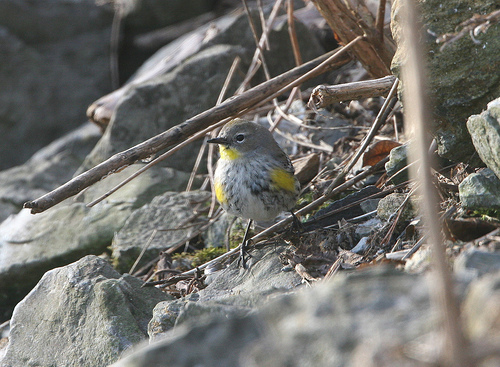 Again, note the yellow throat.